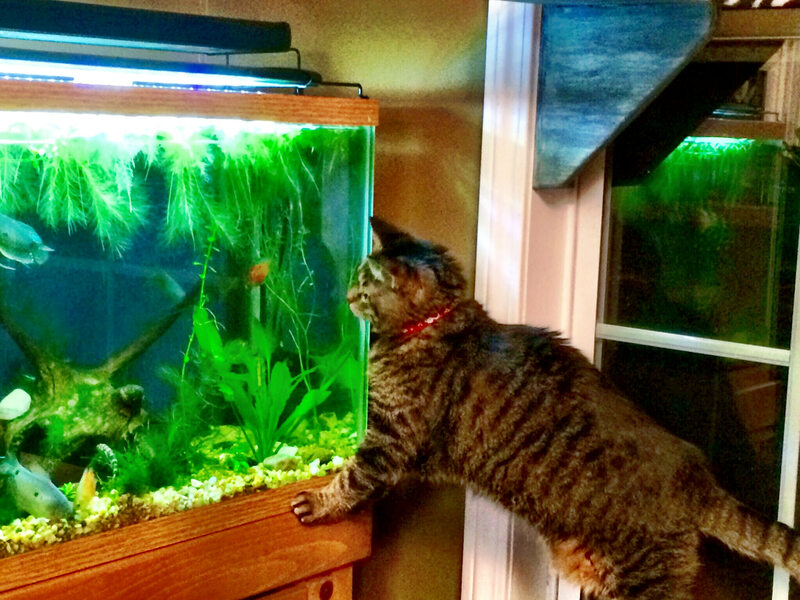 Our senior cat, Kindi, loves her fish tank! Feline behavior problems can be merely inconvenient, or they can be downright dangerous. 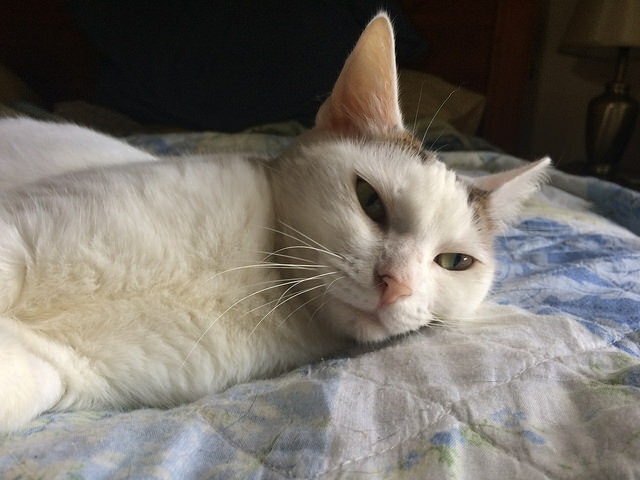 Take heart – cats are very smart and trainable animals, and a solid management and behavior modification plan can reduce frustration and help you and your cat have the relationship you want. Yes, cats can be trained! Behavior packages start at $175 for a 1.5 -2 hour in-home session. For more severe issues (aggression, fear) or for a clicker training package, a set of four one-hour lessons, starting with the 1.5 hour consultation, are $500. Don’t live in the Asheville area? Skype, Zoom, FaceTime or phone behavior consultations are also available: $150 for the initial 1.5 hour session, if you take your own notes. If you require a written training plan, initial consults are $250. Follow-up calls are $125 an hour.